World renowned playwright, Wole Soyinka has said that for the fight against corruption in Nigeria to succeed, the frontline anti-graft agency, the Economic and Financial Crimes Commission (EFCC) would have to take on some of the country’s former leaders. The Nobel Literature laureate, said “until we make some of our leaders walk through those doors [of the EFCC new office]” the fight against corruption would not have the needed traction. Mr Soyinka spoke on Monday at the opening of a meeting of heads of anticorruption agencies from Commonwealth Africa which opens in Abuja, the Nigerian capital. 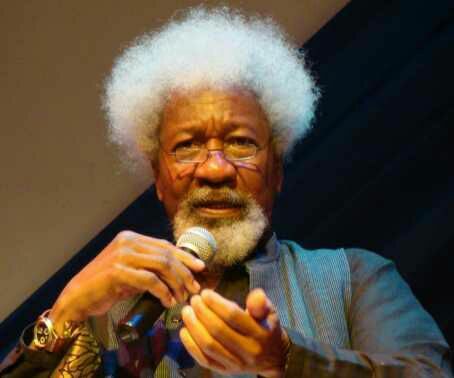 Mr Soyinka said he was at the new office building of anticorruption agency at the weekend, “to see what will he the modest hospitality” for suspects. The renowned writer said he asked the EFCC acting chairman, Ibrahim Magu, for the “presidential wing” of the cells, saying he asked out of his human rights concerns to ensure such personalities are well treated while in detention. “But Magu said they are an egalitarian organisation that treats peoples equally,” he said to chuckles from the audience. Mr Soyinka said all the money stolen by former Head of State Sani Abacha should be fully recovered. He recalled making similar request at a Commonwealth meeting during the reign of Mr Abacha over some monies alleged to be shared as bribes to some leaders for the military leader to remain in power. The Nobel laureate particularly made reference to a leader of a neighbouring country who, he alleged, collected millions for the purpose. He urged the EFCC leadership and heads of other anticorruption agencies attending the meeting to help repatriate the money for Nigeria. In his welcome address, Mr Magu described the presence of his colleagues from Commonwealth African countries for the meeting as an endorsement of Nigeria’s efforts against corruption. He said President Muhammadu Buhari has kept faith with his promise not to interfere with the operations of the anticorruption agencies in the country. However, Mr Magu stressed that “the most valuable support you need to do this job is that of the masses admixed with the political will at the very top”. He said the meeting would avail the anticorruption chiefs the opportunity to share experiences and forge alliances that could subdue “bureaucratic bottlenecks and red tapes” in terms of cooperation. He said the anticorruption agencies need to fraternise more closely because “the criminals who collectively supply our raison d’etre have absolutely no qualms forging such cross-border operational alliances to perpetrate crimes and cover their tracks”. The Secretary General of the Commonwealth, Patricia Scotland also picked on the point of cross-border collaboration as basis for the conference. She said the Commonwealth Secretariat takes the issue of tackling corruption seriously because of the level of squalor and deprivation on account of corruption globally. Quoting figures from the United Nations Office on Drugs and Crimes (UNODC), Ms Scotland said Africa loses $148 billion per annum to corruption. She therefore called for closer collaboration and peer reviews among African and other Commonwealth countries to tackle the problem.